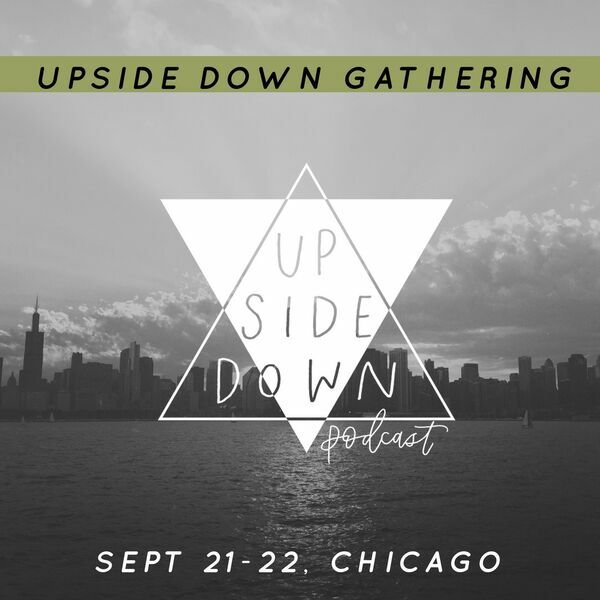 We're gathering in Chicago this fall at the first-ever Upside Down Gathering. Today (June 22) is the last day to purchase your early bird tickets, so Kayla and Lindsy have a quick chat introducing the speaker lineup for the two-day event at Wilson Abbey in Chicago. Hear a preview of Micah Bournes' music, find out which Upside Down Podcast guests will be returning to speak live, and get a sneak peek into the topics and themes we'll cover during this event. Learn more and purchase your tickets at www.upsidedownpodcast.com/gathering.